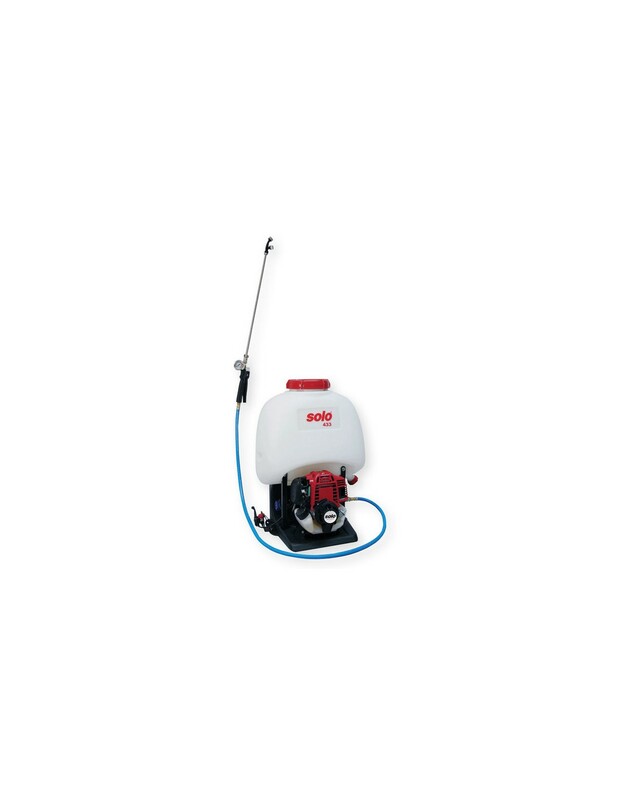 The model 433 backpack sprayer incorporates all of the ergonomic benefits of Solo's legendary 425 backpack design with the power support of Solo's legendary 4-stroke engine. 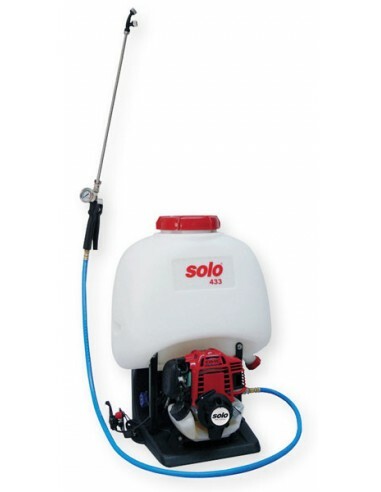 This high-pressure sprayer from Solo with its 5.3 gallon capacity reaches a controlled operating pressure of up to 435 psi, enabling it to achieve fine spray mist applications, even at extreme heights. Thanks to its push-pull piston pump, the powerful Honda Mini 4-stroke engine delivers a minimum flow rate of 0.32 gal/min at 145 psi. A drain connector at the bottom of the tank enables liquids to be drained completely. This sprayer is equipped with high quality dual flat fan jet nozzles and stainless steel nozzle screens and has a heavy-duty shut- off valve with pressure gauge.